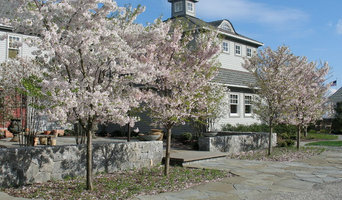 Darwin Webb Landscape Architects specializes in high end residential gardens and landscapes. Landscaping services for Bellevue, Issaquah, Newcastle, Kirkland, Mercer Island, Sammamish, Snoqualmie, North Bend, Redmond, Fall City, and Seattle. Aaron Edwards is a registered Landscape Architect in both New York and Washington State with over 20 years experience designing, studying and altering the landscape. The practice of Landscape Architecture has led him from designing roof terrace gardens in Manhattan and Buenos Aires, planning large estates in New York and Connecticut and eventually brought him back home to the Pacific Northwest. Aaron’s deep appreciation for the environment and understanding of natural processes are reflected throughout his work. Each project presents unique challenges and opportunities that are resolved through a collaborative design process tailored to fit each client. An emphasis is placed on creating thoughtful simple design solutions that honor the unique characteristics of the site, respect the individual needs of the client and integrate architecture with a sensitivity to the beauty of the natural environment. Complete your garden or landscape with an artful balance of nature's elements. Elements of Nature Inc. was founded with the underlying intent of providing a personalized service to meet their clients' needs every step of the way. This is a company built on relationships with our clients. Elements of Nature Inc.'s projects range from natural stone work, high quality woodworking to three season gardens. Creating the perfect personal sanctuary is their expertise. We blend our artisan eye with our client's needs and feelings to get a finished product that is both functional and brings a smile to their heart every time they look out their window. This is done by allowing our clients to communicate their vision and needs all the way from consultation, to design, to installation. The relationship Elements of Nature Inc. cultivates with their clients is one of trust and understanding that everyone deserves and needs when they are completing their living space. Pacifica Landscapes was founded by David Baxter (Baxter) a fifth generation New Zealander from Christchurch on New Zealand's South Island. He has spent his career designing and building landscapes and gardens in the Pacific Northwest, Australia and New Zealand. Working on design and construction projects ranging from residential landscapes to large parks and commercial developments and with a Masters Degree in Landscape Architecture he has developed a belief that everyone's life can and should be enhanced by the quality of the environment that surrounds them. Established in 2011. 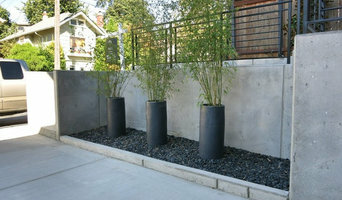 Since establishment we at Pacifica have focused on creating landscapes for home owners in the greater Seattle area. 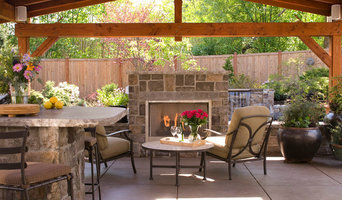 From outdoor kitchens to fire-pits spotted with smores. From patios and pools enjoyed with friends to simple bubbling rock water features or a bench under a tree on which to read. We have created places large and small where people have created happy memories with family and neighbors. We love to build places where you can build memories! Seattle Grow llc has been voted the "Landscape Contractors of the Year" three times this decade and is BBB A+ rated! One of South Puget Sound's top rated Landscape and General Contractors! Our design team includes skilled Architect and Designers. Our General Contractor teams build these designs and our team includes, Masons, Carpenters, Electricians, and Paver Patio and Retaining Wall Experts! At Contour NW, we maximize all the possibilities of place, where Nature, Ecology, form, texture, light, sound, and color integrate sensitively to create unique experiences. This happens not as an isolated effort but, with open collaboration with our clients and the communities we work in. 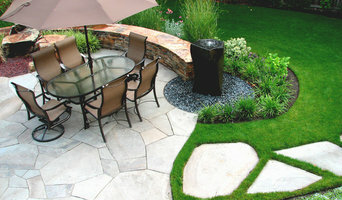 Custom landscape and garden designs to reflect your lifestyle, personality and taste. We offer designs for active families or for those slowing down. Possibilities may range from the renovation of a corner bed or a complete site design. Are you looking to create an outdoor dining area, private sanctuary, welcoming front entrance, or at a loss about where to start, we can help. Full service landscape design and installation company specializing in natural stone and water features. In house design team and expert craftsmen. We also offer a complete Pond and Landscape Supply Store. 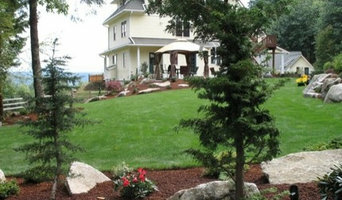 We are the leaders in the South Puget Sound area for Sustainable and Organic Landscape Services. We are a landscape design studio specializing in contemporary perennial gardens. Inspired by endemic ecosystems, our designs seek create sustainable landscapes by bringing an ecological function and aesthetic into your garden.